Football is full of unpredictable moments: battles between individuals and teams the outcome of which, in most cases, is not known before the game, writes James Nalton from the Etihad Stadium. This is one of the many reasons the sport is dubbed ‘the beautiful game’, and its almost endless number of variables could explain why the statistical revolution, which happened much earlier in many other sports, has been slow to take off in association football. Sometimes a player will pull off a trick or a move which is so off the cuff it seems original, and there are occasionally passages of play which feel like something previously unseen is being witnessed. All of this adds to the enjoyment when watching football. One of the best ways to get the feeling that something truly extraordinary is happening is to watch football live (including on TV). Regardless of the level of play or the standard of the teams involved, during the events witnessed in that particular moment with those particular people, something unique is taking place, even if similar things may have been observed by others at some time in the past. This may seem like an elaborate build-up for an account of something as basic as a goal kick, but this simple act of kicking the ball off the six yard line can help explain a lot about Pep Guardiola’s Manchester City. It also felt like one of those unique occurrences. 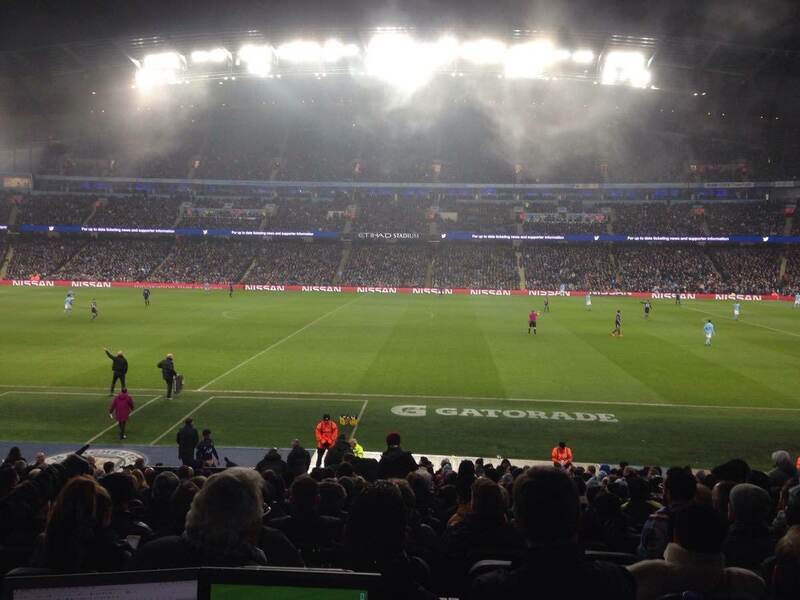 City’s new Tunnel Club, with its rows of plush seating behind the dugouts on the halfway line, was home to several confused faces. 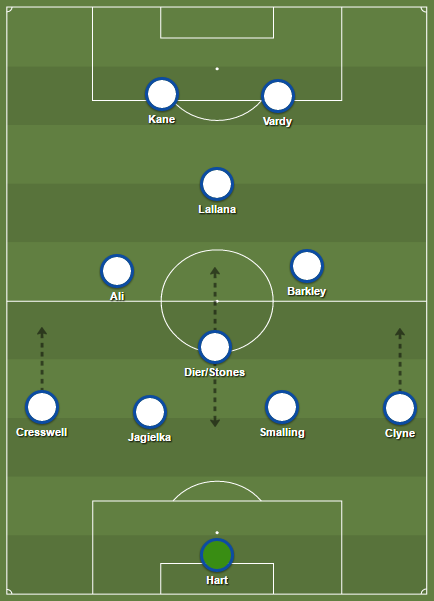 None of their heroes were filling the midfield area in front of them; an area where the ball is traditionally lumped into from such dead ball situations, but not by this team. Regulars may have become accustomed to the way their side play the ball out from the back with intricate passing between defenders and goalkeeper, and even the occasional lofted pass out to a full back, but this was something different entirely. Thanks to Ederson’s missile launcher of a left foot, and the fact that the offside rule doesn’t apply at goal kicks, Guardiola’s side are able to stretch the pitch to the extremes. Their three attacking players sit so far up the pitch that they’re almost on the edge of the opposition area, while the two wide players in this trio sidle towards the touchline. If the goal kick is hit long they’ll sprint away from their marker towards where the kick will land, like a track and field official marking the spot of a javelin throw. City’s centre backs are almost on their own goal line, the full backs are out wide ready for a chipped pass, and the midfield three stick to their usual formation but drop to the edge of the area. All of this makes the pitch huge, and leaves the opposition unsure as to which areas they should cover. If they drop back to prevent the long ball they allow City to play out of the back, but press high and they run the risk of letting them in on goal. It is the variety of Ederson’s distribution, and the accuracy of his long and short passing which makes all of this possible. It’s likely that Guardiola will have formulated this plan while watching the Brazilian goalkeeper in action at Benfica. His goal kicks are so powerful that he was able to notch up an assist in a Portuguese league game against Vitoria Guimaraes. He booted the ball the length of the pitch to Raúl Jiménez who was lurking on the edge of the area, 20 yards behind the opposition’s defensive line. Jimenez eventually gained some control of the ball, took it past the ‘keeper and headed it in. Ederson wasted no time showcasing this skill on the international stage. Making his Brazil debut in their World Cup qualifier against Chile, it took under 25 minutes for him to get around to punting one long to clubmate Gabriel Jesus. Had the striker taken a better touch, he would have been one-on-one with the goalkeeper. 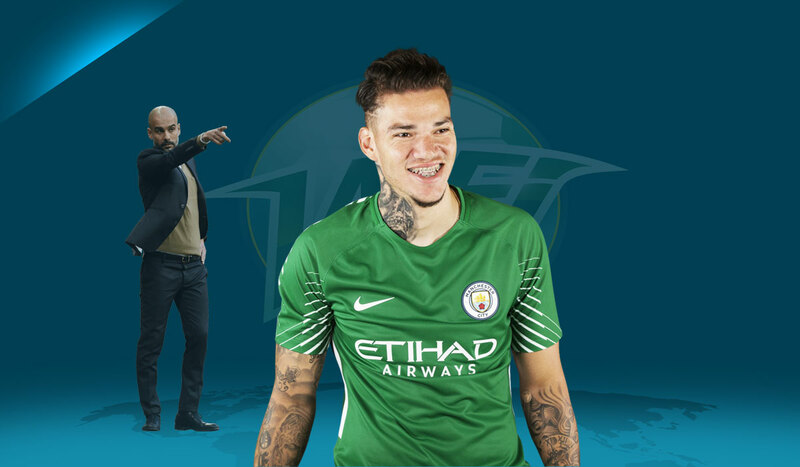 Ederson’s fair whack may have cost his side a fair whack, but at City there is method behind the money madness. They spend a lot, but on very specific players, and they are also ruthless if something isn’t quite working as planned. Claudio Bravo was signed to do the job between the posts, but he wasn’t good enough, so they simply signed someone better and more suited to the role. Guardiola has taken the raw skills of each player – including those he inherited – and used the best of them to produce a seemingly unstoppable footballing force, drilling them in the position game, and getting the best from their natural ability. As they go about their business, they may produce more and more moments which fans may find unique and momentous. None may have the same effect as that Sergio Aguero goal at the Etihad on May 2012, but they will help build a new legacy at a club in this second phase of its history.